Bromance = An exceptionally tight, non-sexual relationship between two men. 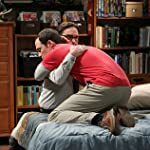 Which of these non-animated pairs of best friends (bromances) on TV is your favorite? See also: Favorite Movie Bromance? Matt & Festus. 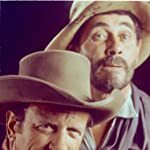 James Arness and Ken Curtis in Gunsmoke (1955). Jess & Slim. 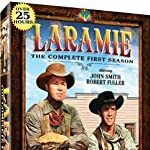 Robert Fuller and John Smith in Laramie (1959). Andy & Barney. 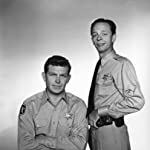 Andy Griffith and Don Knotts in The Andy Griffith Show (1960). Kelly & Scott. 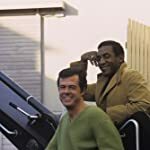 Bill Cosby and Robert Culp in I Spy (1965). Kirk & Spock. 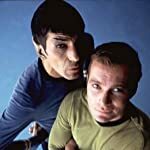 William Shatner and Leonard Nimoy in Star Trek (1966). Felix & Oscar. 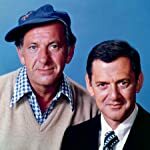 Toy Randall and Jack Klugman in The Odd Couple (1970). Dave & Ken. 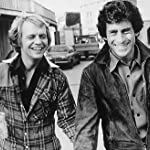 Paul Michael Glaser and David Soul in Starsky and Hutch (1975). Jerry & George. 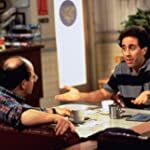 Jerry Seinfeld and Jason Alexander in Seinfeld (1989). Londo & G'Kar. 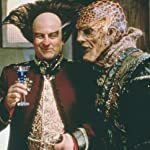 Peter Jurasik and Andreas Katsulas in Babylon 5 (1994). Chandler & Joey. 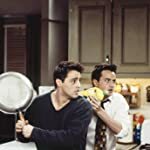 Matthew Perry and Matt LeBlanc in Friends (1994). Max & Michael. 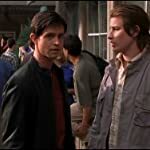 Jason Behr and Brendan Fehr in Roswell (1999). J.D. & Turk. 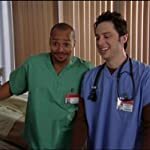 Zach Braff and Donald Faison in Scrubs (2001). Seth & Ryan. Adam Brody and Ben McKenzie in The O.C. (2003). Mark & Jeremy. David Mitchell and Robert Webb in Peep Show (2003). Lucas & Nathan. 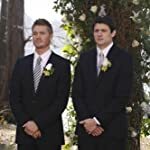 Chad Michael Murray and James Lafferty in One Tree Hill (2003). Hurley & Charlie. Jorge Garcia and Dominic Monaghan in Lost (2004). Denny & Alan. 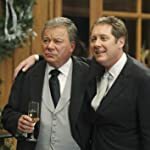 William Shatner and James Spader in Boston Legal (2004). Gregory & James. Hugh Laurie and Robert Sean Leonard in House M.D. (2004). Mac & Charlie. 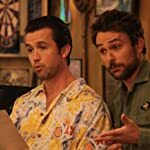 Rob McElhenney and Charlie Day in It's Always Sunny in Philadelphia (2005). Ted & Marshall. Josh Radnor and Jason Segel in How I Met Your Mother (2005). 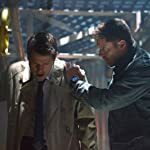 Dean & Castiel. Jensen Ackles and Misha Collins in Supernatural (2005). Dwight & Michael. 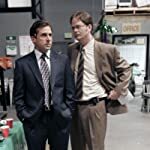 Rainn Wilson and Steve Carell in The Office (2005). Shawn & Gus. James Roday and Dulé Hill in Psych (2006). Hiro & Ando. Masi Oka and James Kyson in Heroes (2006). Roy & Maurice. Chris O'Dowd and Richard Ayoade in The IT Crowd (2006). Tracy & Kenneth. Tracy Morgan and Jack McBrayer in 30 Rock (2006). Chuck & Morgan. Zachary Levi and Joshua Gomez in Chuck (2007). Michael & Sam. Jeffrey Donovan and Bruce Campbell in Burn Notice (2007). Bret & Jemaine. Bret McKenzie and Jemaine Clement in Flight of the Conchords (2007). Sheldon & Leonard. Jim Parsons and Johnny Galecki in The Big Bang Theory (2007). Howard & Raj. 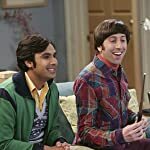 Simon Helberg and Kunal Nayyar in The Big Bang Theory (2007). Sherlock & John. 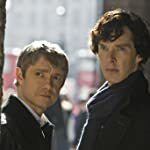 Benedict Cumberbatch and Martin Freeman in Sherlock (2010). Jared & Peter. Breckin Meyer and Mark-Paul Gosselaar in Franklin & Bash (2011). Nolan & Jack. Gabriel Mann and Nick Wechsler in Revenge (2011). Jake & Charles. Andy Samberg and Joe Lo Truglio in Brooklyn Nine-Nine (2013).